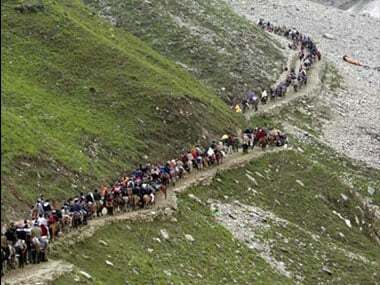 Jammu: Unperturbed by the looming terror threat, pilgrims who set out on the Amarnath Yatra on Wednesday said their unflinching faith in Lord Shiva and the security forces had motivated them to undertake the journey to the cave shrine in south Kashmir Himalayas. The first batch of nearly 3,000 pilgrims on Wednesday left the Bhagwati Nagar base camp here amid tight security. The batch was escorted by CRPF personnel and a special motorbike squad equipped with cameras and various life-saving equipment. Chants of "Bam Bam Bhole" and “Bharat Mata ki Jai" filled the air as the enthusiastic pilgrims, including 520 women and 21 children, left the base camp. 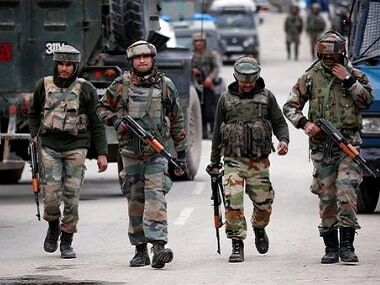 They are scheduled to reach the Baltal and Pahalgam base camps in Kashmir later in the day. “We have come for the yatra on the call of 'Barfani Baba', leaving everything, including the fear of terror attacks, behind," Susheela, a spirited 65-year-old from Uttar Pradesh, told PTI. She is leading a group of 21 people, including her grandchildren. Susheela said it was her first visit to the cave shrine and it had materialised after many years. 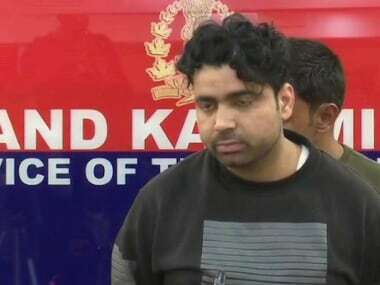 Lauding the authorities for the "best possible arrangements", Arun Sharma from Meerut, part of a 22-member group, said, "We have full faith in our security forces". A Jaipur resident, Udash Goyal, who is here with seven other members of her family, said their fear disappeared soon after reaching the base camp and they were feeling good. As many as 120 'sadhus' have also joined the yatra. “I have been coming for the yatra regularly for the past 27 years and this year too, I am going to seek peace and prosperity for the mankind,” Raman Mani from Nashik's Trimbakeshwar Shiva Temple said. “Brotherhood and communal harmony need to be maintained at all costs to make this earth a better place to live,” he said. 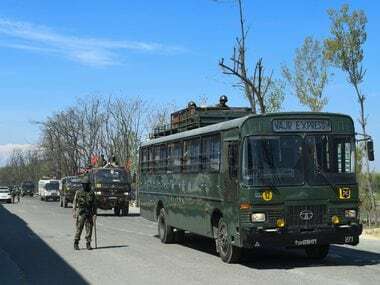 Inspector General (IG) of CRPF, Jammu, AV Chauhan said there was no specific input about terrorists planning an attack on the yatra. 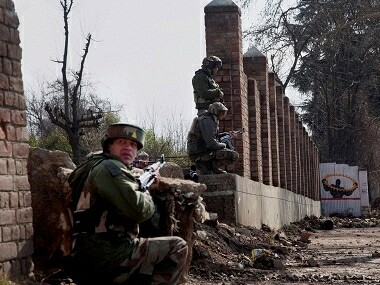 “General threat is always there but there is no specific input,” Chauhan told reporters. He said there was no need for the pilgrims to worry and people were welcome to join the pilgrimage. “We are fully prepared for the task. As the (security) force personnel, we will ensure the safety of the pilgrims,” he said. “This time, we have used special gadgets and new and better technology to further strengthen the security,” Chauhan said listing the various security measures taken by the government to ensure an incident-free yatra this year. More manpower has been deployed this year compared to the previous years, he added. The IG said radio frequency (RF) identification chips had been introduced this year to help track all Amarnath-bound vehicles. He said the chips would also help guide any vehicles that may stray from the convoy and thereby prevent a repeat of last year's terrorist attack on a lone bus that left nine pilgrims dead. The first batch of pilgrims will tomorrow set out on an arduous trek through treacherous mountain passes for their onward journey to the cave shrine situated at a height of 3,880 metres. It houses a naturally formed ice 'Shivlingam'. The 60-day pilgrimage will conclude on 26 August, coinciding with the festival of 'Raksha Bandhan'.